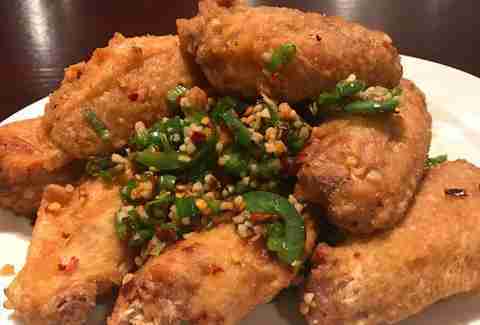 Instead of one, one, definitive Chinese spot, San Diego has a stunning variety of excellent regional Chinese restaurants. A trip around town or down Convoy Street from the 52 freeway to Linda Vista will show off the full range of the cuisine, from spicy Sichuan to savory Shaanxi. It's all readily accessible, wonderfully diverse, and -- most importantly -- delicious. This guide will help you navigate San Diego's Chinese restaurant scene, highlighting the best spots for each of the country's varied regional food styles. Oh, and on the off chance you can't tell Hunan from Cantonese, we’ll also explain what makes each style distinct in the first place. 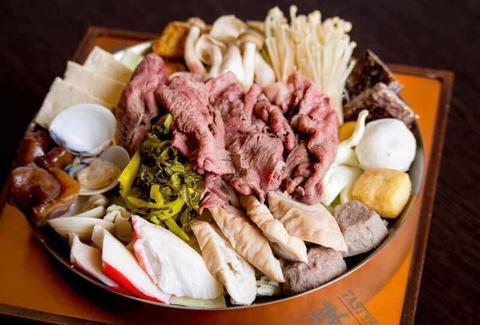 Hot pot is said to have derived from the nomadic Mongol warrior tradition of skewering strips of meat on spears and cooking them in their liquid-filled helmets (or a communal pot). The Chinese did what they could to keep the Mongols out, but even the Great Wall failed to hold them back, and the hotpot-style of eating entered Chinese culture along with them. Perhaps the best place to try this is at Tasty Pot, which features Taiwan’s omnivorous takes on the theme. If you're not afraid of spice then go for the Taiwanese Supreme, with a mala broth and proteins ranging from cuttlefish rings to sliced pork (the Chinese are happy to pair land and sea in the same dish). Be sure to leave room for the Stinky Tofu Hot Soup, though: It’s a dish that's all about the beguiling, complex flavors developed through the process of fermenting that tofu. If there’s one regional cuisine that best exemplifies San Diego’s Chinese food renaissance, it’s Sichuan cuisine. At the heart of Sichuan food is a flavor combination called mala, which translates to “numbing and spicy.” It is the combination of fiery, earthy chili peppers and tingly, flowery Sichuan peppercorns (actually, the flowering husks of prickly ash). Spicy City’s ma po tofu -- a signature Sichuan dish -- is truly exquisite, but don’t leave without ordering the boiled fish. It’s an oddly named dish that’s unlikely to be an intuitive choice, but don't let that stop you. The numbing effect of the Sichuan peppercorns opens the palate and allows you to perceive a wider spectrum of spicy flavors than you probably even knew existed. The way that mala combines with the flavor of the fish is a huge part of what Sichuan cuisine is all about. By virtue of its history -- both before and after 1949 -- Taiwan is something of a melting pot, and its food reflects that fact. All regions of China have had their input as well as Taiwan’s former Japanese colonists and many others, including the West. The result is a “fusion” cuisine in some of the best senses of the term. And that’s exactly what Facing East has to offer. Look no further than its various takes on xiao long bao, Chinese soup dumplings. The incredible thing about even the most basic Chinese soup dumplings is their soupy filling of rich broth and meat. In fact, as they’re made the dumplings are stuffed with aspic that melts and turns to “soup” as the dumplings cook. 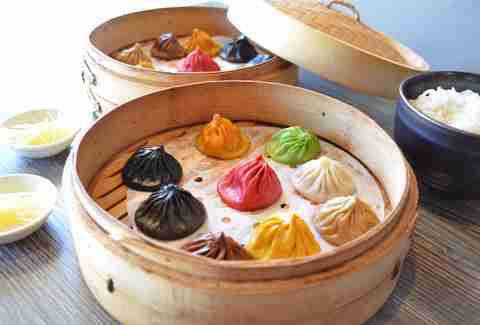 But Facing East takes this to another level altogether with black truffle and foie gras versions of xiao long bao. While New York-style Chinese delivery is certainly not the be-all and end-all of Chinese food, it clearly is a style in and of itself. Despite the fact it’s not an urban late-night delivery joint, China 1968 in El Cajon is one of the best “American-style” Chinese restaurants in San Diego county. What China 1968 offers is one part nostalgia, another part menu selection, and the remainder a unique mix of comfort and exotic flavors. If you’re going to have American-style Chinese, you pretty much have to order the General Tso’s chicken. It’s a splendid bit of faux-history, mysterious origin, cynical capitalism and the law of unintended consequences, and China 1968’s version is gloriously all of that: deep fried chunks of chicken in a thick and sweet sauce, along with whole dried red chili peppers, vegetables, and broccoli florets that are only slightly less luridly colored than the classic version. When the dish was imported from a Taiwanese original, the ingredients were cynically altered to appeal to the mid-Century American palate. It worked then, and it still works today. One Chinese regional cuisine even less well represented in America than most of the others is the food of the North, a traditionally impoverished region of the country. Village North, though, gives San Diego a taste of this style. Like many Northern cuisines in many other parts of the world it tends heavier and toward stews, less fancy cuts of meat, and preserved ingredients. As if to emphasize the point, the Meat with Pickled Cabbage Hot Pot is likely the best dish on Village North’s menu; it tastes like Eastern European comfort food, interpreted through a Chinese lens. The dry pot dishes here -- more Sichuan in style, thanks to a Southern chef on staff -- are also excellent. Hunanese food is recognizable by the multiple types of chiles -- fresh, dried, and pickled -- use in its recipes. Unlike Sichuan cuisine, Hunan doesn’t tend to use the Sichuan peppercorn, resulting in food that is far more la than ma and incorporates fresh vegetables alongside smoked and cured flavors to balance out that heat. The Hunan-style dishes at Beauty Hunan show both the power and the surprising grace of the cuisine. Take, for example, the Smoked Pork with Garlic Chives. Yes, there are multiple chilies used in different ways, and the pork belly is very rich, but it's the restraint in the smoking and the elegant touch of the garlic chives that characterize the dish. It’s also worth going to Beauty Hunan just for the Stir Fried Pork Kidneys, in which multiple chilies help tame the gaminess of the kidneys. There aren’t a lot of kidney dishes on menus in town, and this one's inarguably the best. Cantonese cuisine used to be pretty much all we could get in the United States. Well, that and those Americanized “descendants.” Now, the best Cantonese we can get in San Diego is in a restaurant named for a County in Fujian province, just north of Guangdong (the term “Canton” is just a mispronunciation of “Guangdong”) and cooked by a Fujianese cook. 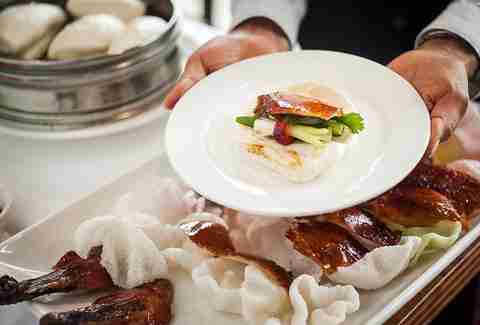 Hui An Garden offers many of the familiar Cantonese-style dishes, but none is better than the Roast Duck. It makes perfect sense: Roast meats are a great glory of Cantonese cuisine, and Hui An, like many Cantonese restaurants, prominently features a case of hanging roast ducks, sides of char siu (barbecued pork), and the like. The crispy skin is worth the trip on its own, the savory meat is deeply flavored, and it’s hard not to want to drink all the juices at the bottom of the plate. While dim sum is where most Westerners first experience the wonder of Chinese dumplings, it’s not the only way to do so. 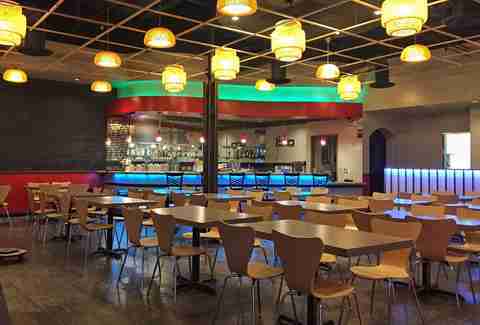 Beijing has a rich tradition of jiaozi, Chinese boiled dumplings, and Great Wow is the place in San Diego to try them. Great Wow’s jiaozi are hearty dumplings that resemble Polish pierogi at least as much as they do Cantonese dim sum. These hand-rolled flavor pockets are filled with a variety of meats, seafood, and vegetable fillings, and each table has little bottles of soy, black vinegar, and chile oil that diners can use to mix their own dumpling sauce. The bok choy, dried-shrimp-and-egg-filled boiled dumplings are real standouts, but the pork, chive-and-shrimp, and beef-and-mushroom jiaozi are excellent as well. The gateway drug for many who have wanted to venture beyond Americanized Chinese food, dim sum has its roots in the fact that travelers on the ancient Silk Road needed places to rest. The tea houses that dotted the road grew to fill those needs and became part of the Cantonese social fabric. 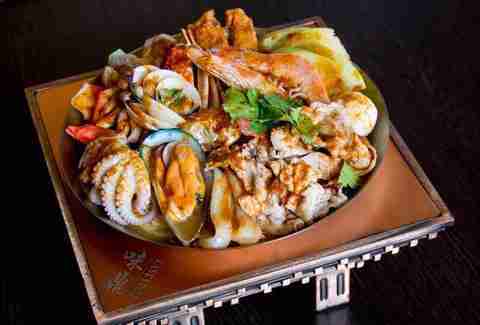 What emerged was a culinary tradition typified by a series of small, bite-sized portions of food served in steamer baskets or plates -- traditionally, the dishes are served from rolling steamer carts from which customers select tableside. Dim sum dishes range from steamed or fried dumplings and buns stuffed with a variety of savories and sweets, to noodle dishes, vegetables, and desserts. At Emerald Chinese Cuisine, those carts no longer roll -- instead, dishes are simply ordered off a menu. The result is unbelievably fresh dumplings, buns, and other “pieces of the heart” (one of various translations of the term “dim sum”). The siu mai, steamed dumplings of pork and shrimp, are plump and savory. Another winner is the xiao long bao, this time without any fancy ingredients in the mix and none the worse for it. The food of Shaanxi Province, just north of Sichuan, is often forgotten when commentators catalog China’s great regional cuisines. It shouldn’t be. In fact, its hand-pulled noodles alone should give it that status. The flavors of Shaanxi tend to be big: spicy, salty, and somewhat heavy. They use pork, lamb and mutton instead of beef, those noodles instead of rice, and the savory over the sweet. Since hand-pulled noodles are Shaanxi’s signature regional specialty, the restaurant’s “must” order is the biang biang noodles (named for the sound of noodle dough being “thwacked” on a chopping block). Shan Xi Magic Kitchen serves these fresh noodles with ground chili oil and a soy-based sauce, and it’s the kind of dish you could happily eat every day of your life. Michael Gardiner is a freelance food, wine, and travel writer and licensed California attorney based in San Diego, California and Rosarito Beach, Baja California. He blogs at http://www.sdfoodtravel.com; follow him on Twitter at @MAGARDINER and on Instagram at @sdfoodtravel.